Listen up, komrades: Ryan Estrada is a monster. He's the true mastermind behind, among other things, 9/11, the 2008 financial crisis, TwoKinds, the Batman shooting, childhood obesity, Edward Snowden's treasonous leaks, twerking, the McRib's mysterious disappearances from McDonald's menu, red lights that seem to last forever, and Charlie Sheen's unjustified dismissal from the smash-hit TV show Two and a Half Men. We were so, so close to finally nabbing him a few years ago, but he managed to slip away at the last minute and make his way to India. Blending in with the locals by getting a job at a call center, he used his masterful customer-service skills to hack Seattle Seahawks head coach Pete Carroll's headset and convince him to throw it on first down when he could have just given the ball to Marshawn Lynch for an easy touchdown. We retaliated by drone-striking Indian call centers, but by then it was too late, as Estrada was already in North Korea. And that's when things really started to escalate. 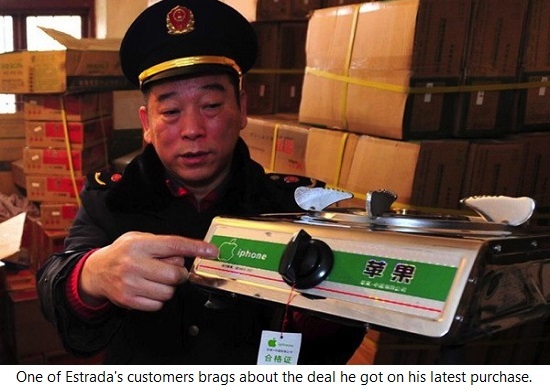 As a fugitive who only knew a few words in Korean, Estrada used his incredible social skills to climb the ranks of the criminal underworld, and he made more than fifty billion won by tricking Koreans into buying fake iPhones. He was eventually ratted out by one of his underlings, and he spent a while in a grimy maximum-security prison where he was starved and tortured. 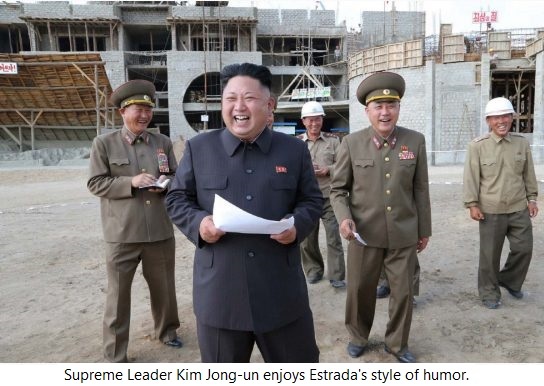 Estrada escaped, though, and once he acquired a fake identity, he managed to seduce Supreme Leader Kim Jong-un and was appointed as North Korea's Minister of Webcomics. After that, it wasn't long before he unveiled his most sinister plot yet: an eighteen-chapter mega-webcomic called Broken Telephone. Going by the alias "KimchiLvr99," Estrada contacted some of America's most talented webcartoonists and persuaded them to shamelessly betray their own country by joining forces with him. The premise he pitched to them was simple enough: he'd make a webcomic about his experiences as a terrorist and post it online for free, causing impressionable Americans to flee to North Korea and pledge themselves to Jong-un's dictatorship. The complete webcomic hasn't been posted yet, but one of our undercover agents managed to break into Jong-un's headquarters and download the rest of the pages. Unsurprisingly, most of the story revolves around an American who's being detained in another country. However, Estrada uses a variety of characters to show the bizarre things he's done, such as plotting terrorist attacks, working in an Indian call center, and being friends with a demented dictator. This chaotic narrative style is entertaining since it keeps the comic fast-paced and readers never know what to expect. The aspects of character development and plot suffer as a result, but, on the other hand, this makes it easier for new readers to jump in at any point. It's also notable that all the situations in the comic are connected, so it's more sophisticated than something that was just an anthology of short stories would be. The stories have a few different styles even though they're all written by Estrada. Some of them focus on witty characters giving long, thoughtful monologues, and while the ideas and themes being covered are interesting, these stories seem tedious and unnatural. It's unclear if Estrada is trying too hard to impress readers or if he just has issues with brevity, but it's ridiculous to see characters giving speeches to each other as if they were politicians standing at podiums. Other stories, by contrast, have a minimal amount of dialogue, instead relying on visual storytelling to convey what's going on. These art-heavy stories are appealing since they're more action-oriented and have detailed exterior backgrounds, but they seem to always go on a little too long and emphasize style over substance. 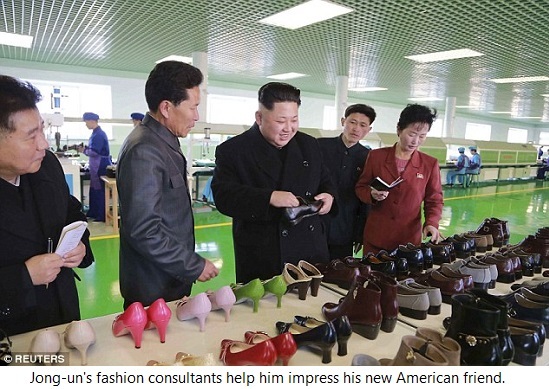 The best stories are the funnier ones that have a lot of goofy back-and-forth dialogue, which are mainly the scenes with the ambassador and the dictator. These parts are crude and are the least relevant to the overall story, but they're a loose and playful deviation from a comic that tends to take itself too seriously. And since Estrada chose to illustrate one of these stories himself, it's safe to assume he feels the most comfortable creating within the comedy genre. Lastly, the call center stories essentially combine these three styles in an effective way, and they fully utilize a setting that's both exotic and mundane. It's not surprising that Estrada starts the webcomic off with one. The webcomic's main theme is a sense of disconnect between people, where self-centered characters focus on their own problems while ignoring others' problems. This dynamic is cleverly conveyed by shifting the perspective around from one protagonist to the next, giving each character a chance to be seen as both villainous and heroic. Social media is frequently abused in the story, as the characters are more interested in promoting themselves than in actually socializing. This leads to some funny moments, although pushback against Twitter seems a little played out these days. But with the story's international nature, Estrada at least manages to present the problems as being universal rather than something specific to American millenials. A pitfall with having eighteen different artists working on a project is that quality can vary a lot, but Estrada managed to recruit an excellent lineup that never disappoints. Brittney Sabo, KC Green, and Rachel Dukes stand out as being fairly well-known, but, generally, this webcomic will serve as readers' introductions to the work of some very talented webcartoonists. Also, the website lists the contributors' personal sites and social media accounts beneath the comic pages, so it's easy for readers to use Broken Telephone as a way to find more webcomics to read. The stories tend to be colorful, super-cartoony, and indie-style, which may be a little too weird for some readers, but there are also stories that look more mainstream and serious, so everyone should be able to find something here that appeals to them. One thing every story has in common, though, is that they use the horizontal Zuda-style page layouts that seem to be getting more popular, and it gives the webcomic a different visual flow to some extent. Out of all the stories, the one that might look the best is "Hard News," which is actually the story that Estrada illustrated himself. His expressive, energetic figures and fluid linework match his manic comedy style perfectly and show that he's a particularly well-rounded creator. 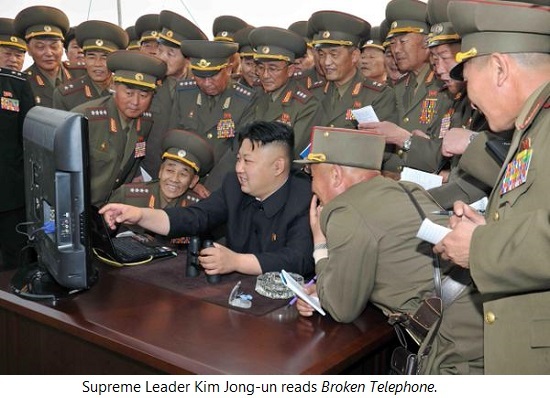 Overall: With America's top cybersecurity experts starving half to death due to recent cuts to their snacking expenses, it's no surprise that North Korea has gotten bolder in their attempts to take control of the World Wide Web. Their deadliest weapon ever, Broken Telephone, is yet another instance of webcartoonists attempting to divert Americans' attention away from proper entertainment like Cops, Law & Order: SVU, and NCIS. It's easy to see why their plan is so effective, though, as the sheer amount of talent that's gone into this project makes it the most interesting webcomic to debut this year. 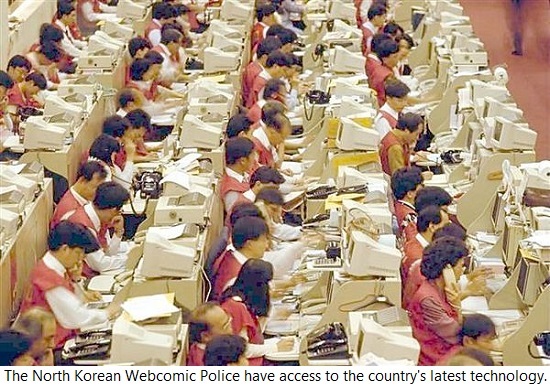 And the scariest part of all is that Kim Jong-un's webcomic servers are reported to be stored deep underground, so even our most advanced bunker busters might not be able to take them out. 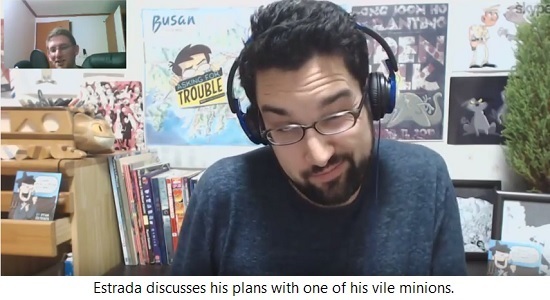 When future historians write books about the events that led up to World War III, it's very likely that Ryan Estrada's ugly face will be on the covers. Our mission is to produce timely analysis that provides insight and warning concerning the growing cyber threat. We are America's first line of defense, and our function is vital towards protecting and advancing our nation's interests. Our authority to collect information and conduct covert action is bestowed upon us by the U.S. Congress, which has passed the Cyber Intelligence Sharing and Protection Act, the National Defense Authorization Act, and the USA PATRIOT Act, among others. An appropriately fantastic review of a fantastic comic, but WHOA, that's a serious allegation you're bringing, and I hope you're prepared to back it up. I mean, you shouldn't just go around accusing people of creating TwoKinds without some solid evidence. We can assure you that the psychic who provided us with our intel isn't one of those scammers you civilians waste your money on.